The four Kings of the tarot are the heads of their suits. 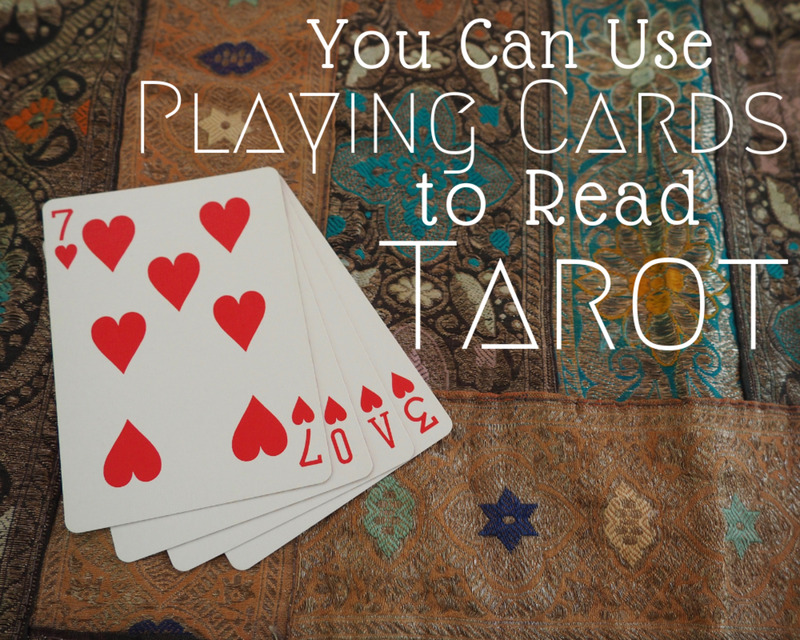 They are the rulers of the tarot but they rule in completely different ways. They represent the culmination of the procession that begins with the Ace. They can also reflect real personalities when they appear in a reading. They are complete, yet imperfect, with all the positive and negative attributes that elevate, but at the same time make us fallible... and human. In this article, we shall take a close look at the King of Swords, without doubt the most intimidating of the four Kings. 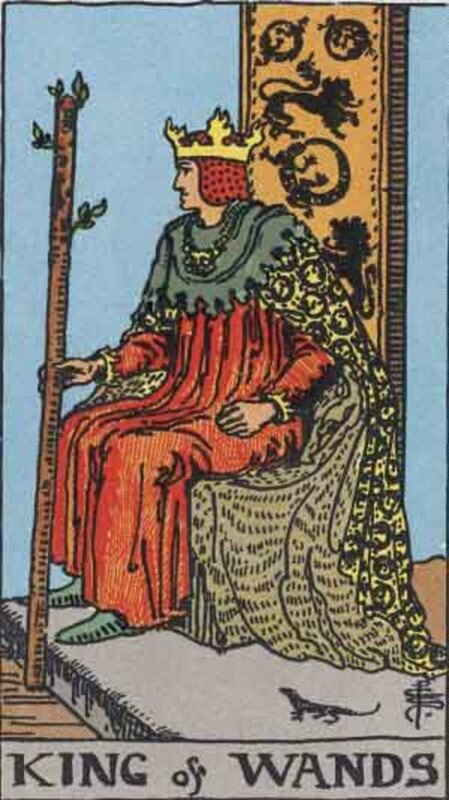 In the Rider-Waite tarot deck, the King of Swords sits upon a carved stone throne. The carvings are butterflies, symbols of air, to which the suit of swords is usually associated. He wears gray and blue robes to represent sky colors. He holds a large, heavy-looking sword in his right hand. The King looks sternly ahead, glaring right out at the viewer. When the King of Swords appears in a reading, you know you are dealing with someone in charge. 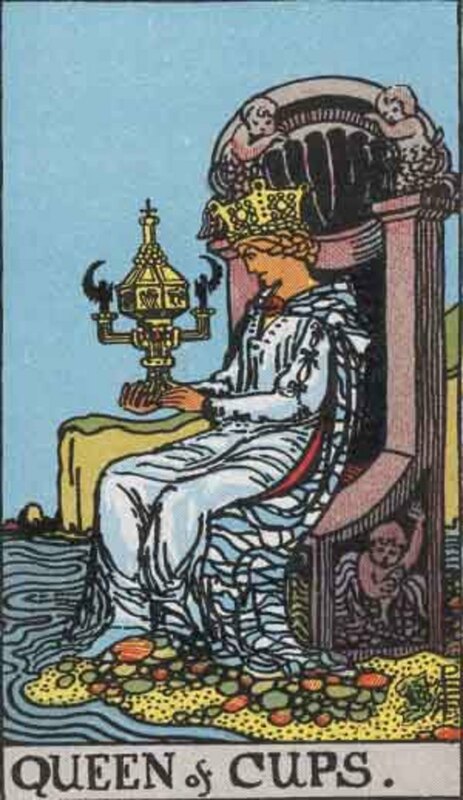 If this card represents a real person, and you can tell if this is the case by its position, or by describing the King's personality and seeing if the seeker recognizes him. Bear in mind that most people are a mix of two or more court card personalities. 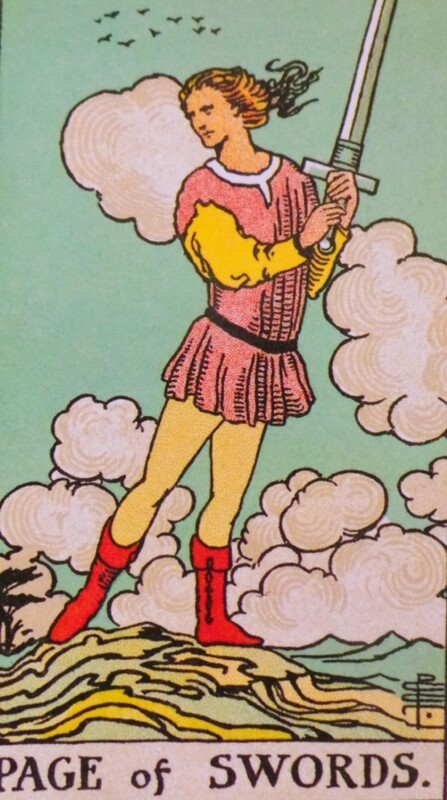 Swords are usually associated with air in most tarot decks, though occasionally they are transposed with wands (action). The qualities of air are connected with mental processes – thought and communication. When the King turns up in a position that is unconnected with a personality, then it means that the seeker may need to take on some of the aspects of his character. The King of Swords is a logician. He is a problem-solver, often a lawyer, writer or mathematician. He comes across as lacking emotion and has a steely resolve and strong will. He will not ever relinquish control, except possibly to one person, who I will come to later. Despite this austere and forbidding exterior, he is fair in his dealings and expects the same in return. Once you understand how he operates, you will find him open to ideas, and he will be quick to praise a job well done – although such praise will be rare. If and when you receive it, you will know that you have impressed. 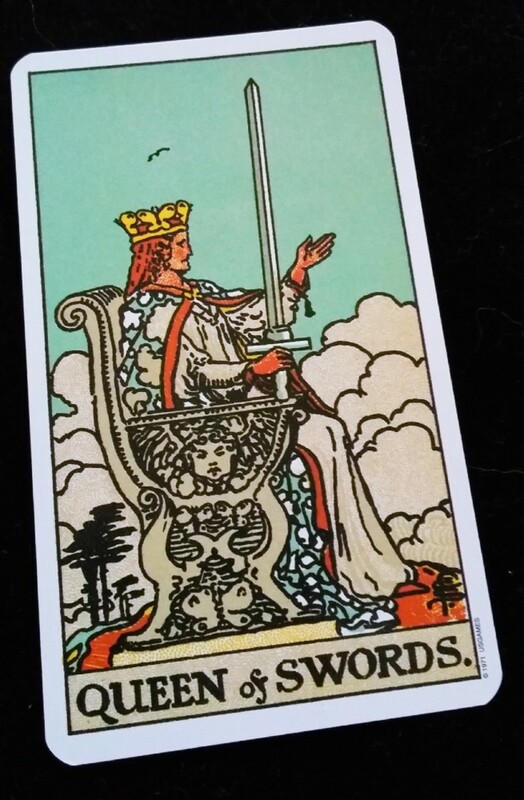 The King of Swords will never creep or crawl. If he's ever wrong he will apologise and make amends. He is dignified, authoritative and honest. He only ever offers the truth as he sees it, and expects complete honesty from people around him. Typical career paths are law, banking, communications, accountancy, non-fiction writing, analyst, technician, software developer. He will progress to the highest level in whatever profession he chooses. If this card appears reversed, then you are dealing with a nasty character. He will be clever, manipulative and devious. He may be highly intelligent and ambitious but misdirected. He is completely lacking any feelings and could well be a bully. The upright King's positive traits are taken to extremes. However, he is aware of his own failings and is clever enough to hide them or to soften them. Beware. This King is not romantic but he is a gentleman. He seeks marriage as though it were a career choice. He is very careful to put his emotions aside when considering a mate. However, once he is married, he makes an excellent husband for a woman who understands his complex personality. Indeed, if he trusts her, then he will trust her implicitly and relies on her for all his practical needs. He can be brusque and quite rude in his manner – outsiders will wonder what she sees in him and why she stays. There may will be whispers of gold-digging. However, no-one outside of the marriage is aware of how the relationship works. His wife, if he has chosen well, is able to let all his tirades go right over her head. Only she knows he has a softer side. He may not love her in the beginning but after a few years, she is his touchstone, his rock. If she dies before he does, he is lost. She is the only one who can tell him what to do. He trusts her judgment and often seeks it out. She is the woman behind this successful man, and she has the most influence over him. Remember, if you are dealing with him, you are very likely to be dealing with her as well. A formidable couple. 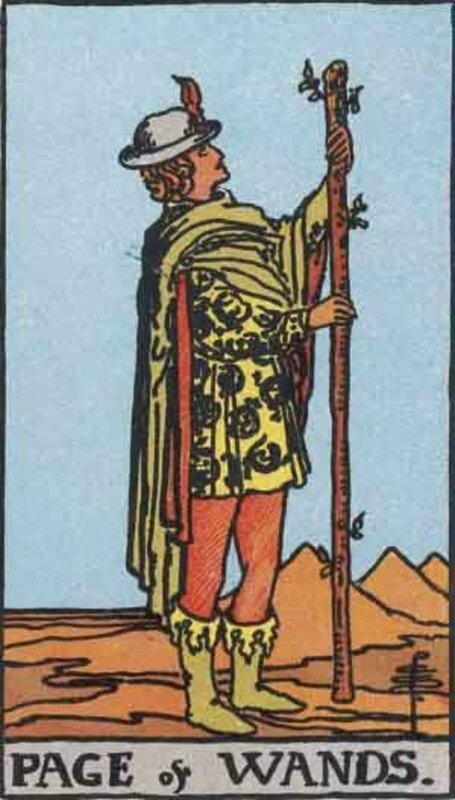 The King of Swords is usually good with money, only those in the more academic callings are not so good – only because they are pursuing their real interests with dogged determination. It would be unusual to find a poor King of Swords. They don't chase riches, it's just that they tend towards high-paying professions. If he is unfortunate enough to lose money, he will generally make it again, sheer willpower will ensure his success. 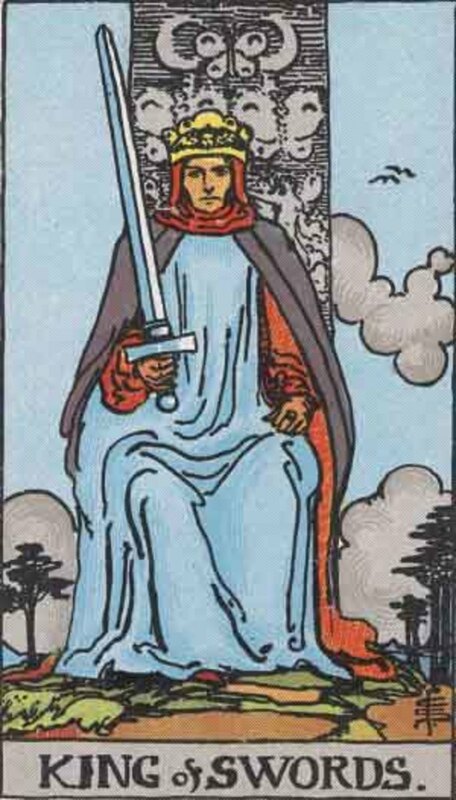 Does the King of Swords card I drew represent me, a woman, or might it represent Jack? It's not possible for me to tell you. It depends on the question, the circumstances, and the position of the card. What does your intuition tell you? How does the rest of the spread pan out story-wise? What makes the most sense to you? I've drawn this court card, and I'm a female. Is this a good card for a woman since it is a king, not a queen? I can't tell you if it is good or not. Firstly, before drawing a card you have to have a question about a real-life situation. How do you think the card answers the question you had in mind? The fact that you are female is irrelevant; what matters is what information you were looking for. Do you know a King of Swords? Hi Francois, you can't attract them but if you act 'as if' for long enough your desired trait can become habitual. Is there any way to attract more of these personality traits to yourself? Just found this hub..I am bookmarking all of these to read at a later date. You have a wonderful holiday season. How fascinating! He does sound like a KoS - they are often writers. 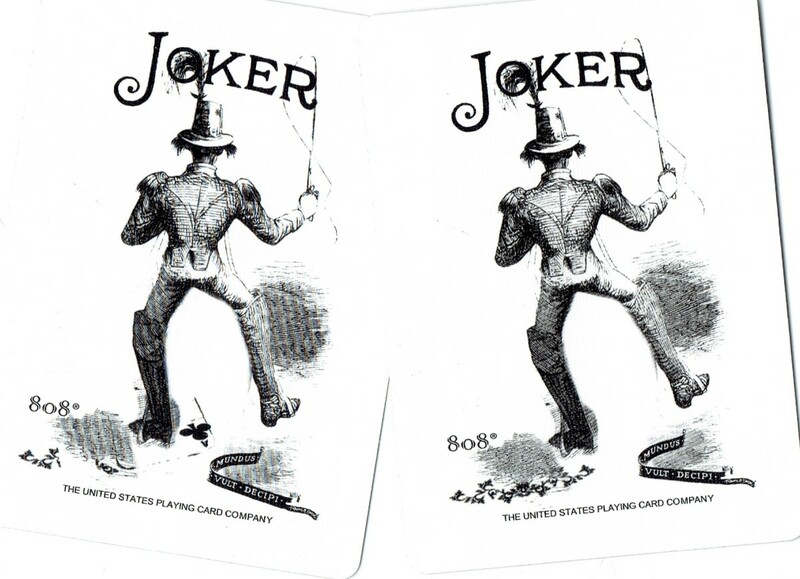 However, it would be rare to find someone who is 100% like their court card counterpart - as an artist, he may have aspects of the King of Cups. This would explain his unhappiness in his previous profession. 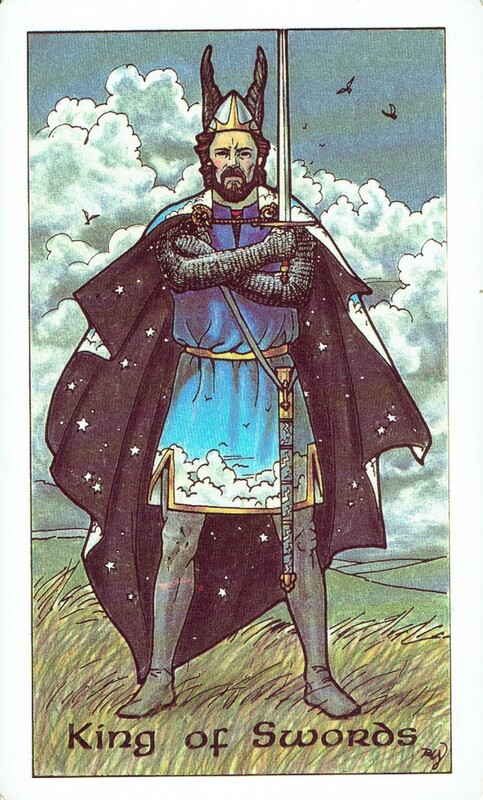 The King of Swords will usually overcome such artistic leanings but, in this case, the creative side won out. Thank goodness, I'd say. Is there such a thing as a "former" king of swords? I have a very dear friend who was once a lawyer and held all the characteristics you describe here. But he was not genuinally happy, until one day he realized (and I like to think through me because I was always telling him so) that at heart he is an artist. After seeing three chapters of a book he was contemplating writing, I was floored and amazed by his talent, so much so that today he has completed what I swear will be a great sell. No, I am not married to him; truly a platonic relationship, but always wondered why we remained friends. Could it be that he was merely being an ideal that he held and that when he let go he was happier? Or is he still the King of Swords? But you're right about people not understanding our relationship. I would swear I always knew him. But I am conscious of the fact, and so is he, that we complement each other. He embodies what I lack in myself and I embodied what he lacked in himself, but as the years have passed we have become more identical to each other. Funny how life it, isn't it? As always, your hub is a fun and well written read. Voted up and awesome.